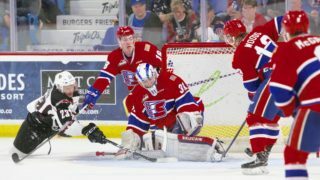 TORONTO – The Spokane Chiefs, in conjunction with Hockey Canada, announced today that five Chiefs players or prospects have been invited to men’s camps as part of the Canadian National Teams’ Summer Showcase in late July. 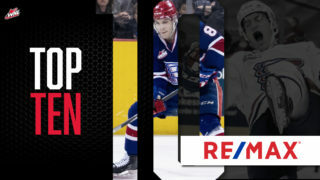 Second-year forward Jaret Anderson-Dolan will attend the under-18 camp while prospects Matt Leduc, Ty Smith, Koby Morrisseau and Eli Zummack will attend the under-17 camp. 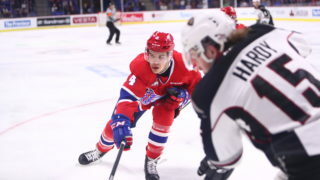 Anderson-Dolan scored 14 goals and 12 assists for 26 points during the 2015-16 season, earning the club’s Rookie of the Year award. 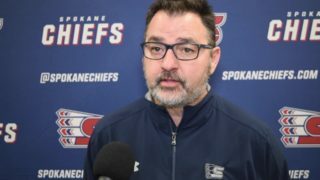 He was the Chiefs’ first round (14th overall) pick in the 2014 WHL Bantam Draft. He scored a goal and three assists in six games with Canada’s Team White at the 2015 World U17 Hockey Challenge. 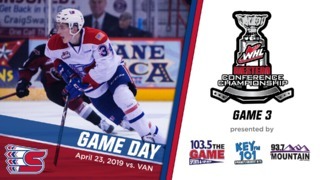 All four of Spokane’s U-17 camp invitees are highly touted prospects from the 2015 WHL Bantam Draft; Smith was the first overall selection, Morrisseau went ninth overall, Leduc was the 31st choice and Zummack was chosen by Red Deer with the 36th pick. 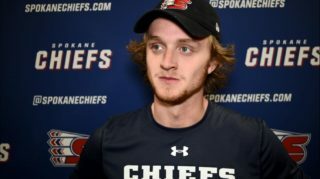 Zummack was acquired by the Chiefs in a trade in January of this year. All four are expected to compete for a spot on Spokane’s 2016-17 regular season roster. Both the U18 and U17 camps will take place at the Markin MacPhail Centre in Calgary from July 26-Aug. 2. The U-18 camp will feature just 44 players including 24 forwards. Twenty-two will then be selected to participate in the August’s 2016 U18 Ivan Hlinka Memorial Cup in Czech Republic and Slovakia. The U17 camp will host 111 players, including 12 goaltenders, 36 defensemen and 63 forwards. Sixty-six will be selected to compete (on three Canadian teams) at the 2016 World Under-17 Hockey Challenge from Oct. 30-Nov. 5 in Ontario. Full camp rosters and information can be found at HockeyCanada.ca.